If you’re one of the many fortunate ones to own a period property oozing charm, you’ll know that comes with many ups and downs. Older homes will have a variety of character features on display however, making the interior feel contemporary and high end is not as easy than in modern builds. However, with some tried and tested methods, making your prized real estate feel high end and current isn’t as hard as you might think. Here’s a run down of the techniques you can use to make sure your period home can show off its best bits without looking tired and dated. Period properties tend to have a lot of imperfections on walls, trims and mouldings. The most common mistake many people make is to use a gloss paint. Any painted surface that has a sheen will expose those imperfections which in most lighting conditions, will stick out like a sore thumb. Modernising a character room that has had its fair share of knocks is pretty straightforward. Always use a good quality, hard wearing matt finish primer and paint on the walls and the same goes for any woodwork and trims. A good quality eggshell on trims, doors and mouldings will prevent any blemishes from taking centre stage. Your colour scheme will also play a huge part in the finished look. Go for muted, complimentary tones and avoid bright garish colours. 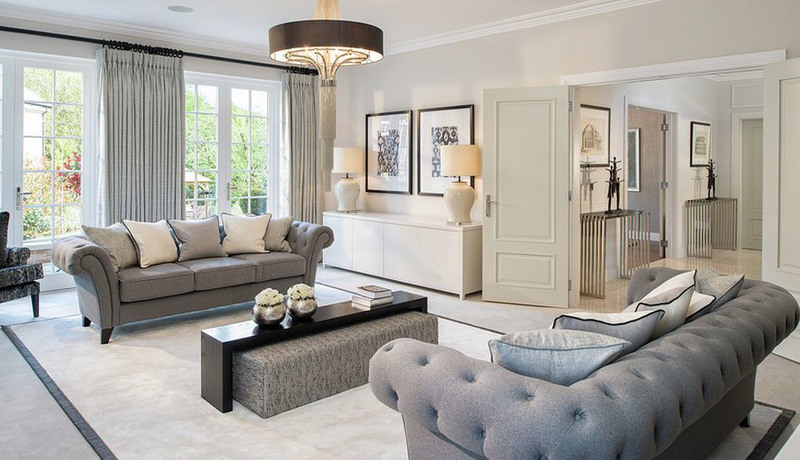 A neutral pale grey and taupe on the walls will work great with a slightly darker tone on the trims, moulds and even the ceilings. This subtle yet striking contrast will lift the room and allow your accessories to dictate the style and era of the final look. If your period home is still housing a collection of ageing and dated rugs, perhaps its time to day goodbye to them! Just because your property is considered old, this doesn’t automatically mean you need to furnish it with items from the same era. There’s a great range of rugs on the market that can replace older traditional styles that will completely transform the way any room looks. 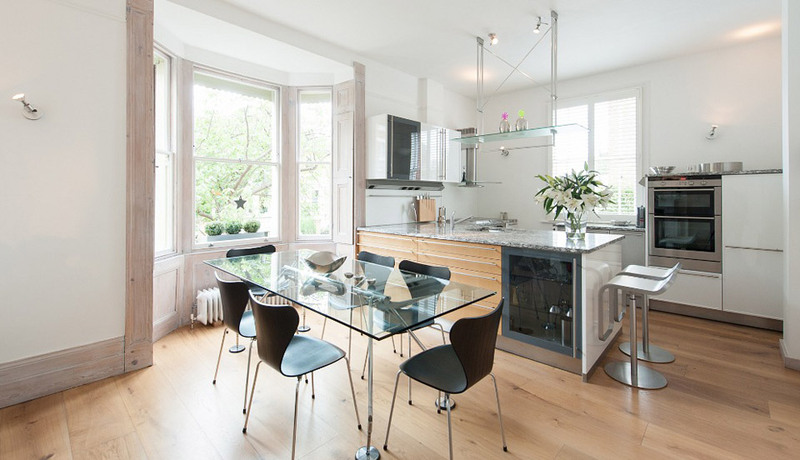 If your home has natural wood floors such as parquet or solid wood flooring, consider having it refurbished by a specialist firm who can sand and re-stain the floors to give them an incredible new lease of life. 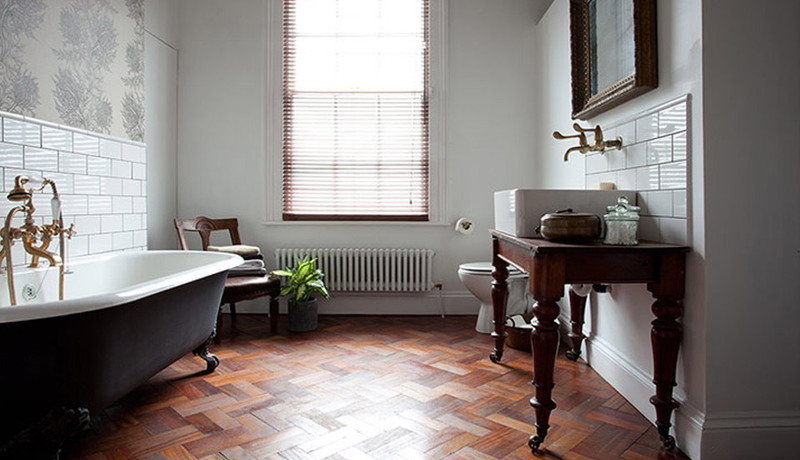 A brand new or refurbished wood floor can look stunning in any home and they especially look great in period properties as they compliment the existing features and exude quality. Finally, if you home is mostly carpeted, perhaps replacing the floors with a more contemporary surface such as engineered wood or even ceramic tiles might be a great solution. Many older homes are broken up into several rooms, when in actual fact, this is neither necessary or practical with our modern living habits. If budgets allow (as well as building control and planning consent), see if there are areas of your living space that can be opened up to create a more open-plan concept by taking down a wall or two. By removing adjoining walls between dining and living rooms, or even kitchen areas, you can transform an older home into a more modern living space and still embrace its character and original style. Most character features in older homes get overlooked and concealed when in actual fact, they should be celebrated! 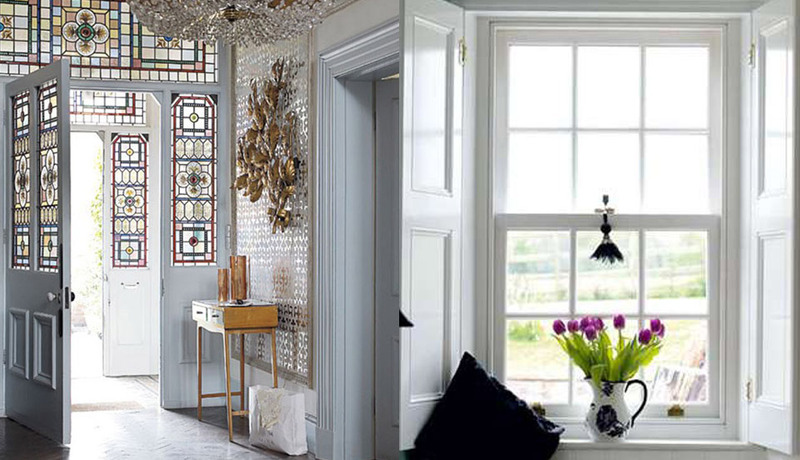 If you’re lucky enough to have decorative features such as stained glass, period mouldings, an old fireplace or elegant sash windows, give them a proper makeover and let their features shine. In many cases, these feature get neglected and start to look tired and unloved. This is exactly when an older home starts to look that way. 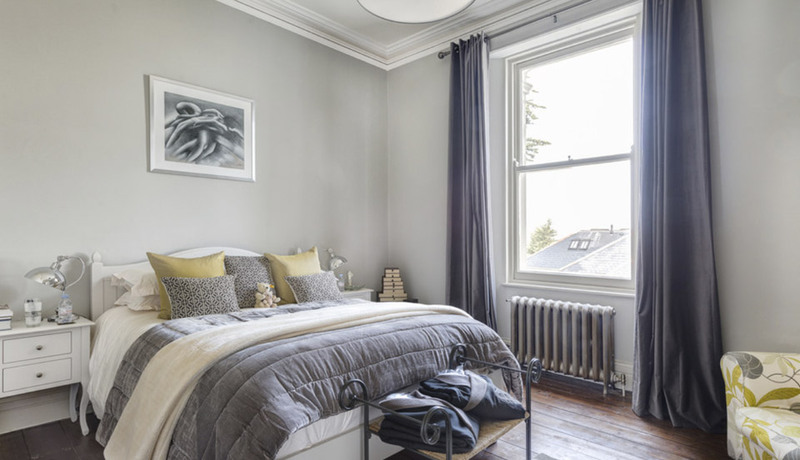 Look after the period features by keeping them regularly cleaned, decorated and accessorised, and they’ll prevent the entire home from looking tired and dated. If you have some stunning sash or bay windows in your property, try hanging shades instead of drapes that compliment their colour and style. This will help add a modern touch whilst adding focus to the features of the window, rather than concealing them. If however, your home has some rather awkward or quirky glazing in unusual places, try using a full wall of drapery to create a stunning yet perfect way to conceal these oddities. The drapes will help to soften the entire room and create a really great ambience in the entire area. 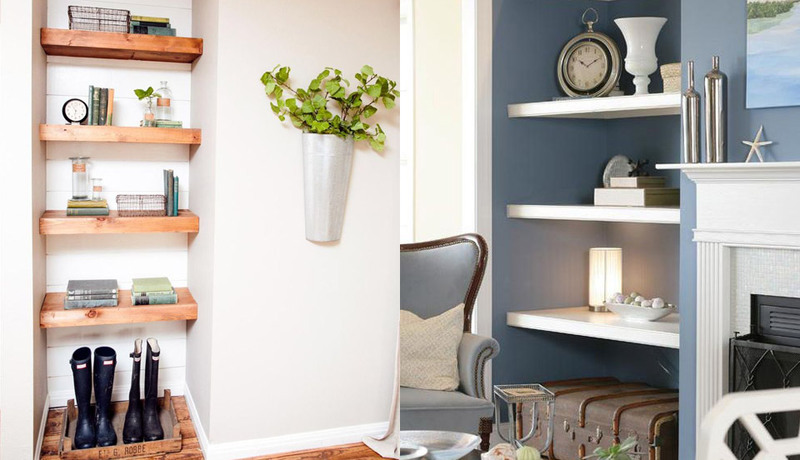 Simple treatments such as shelving and display units can change the way a room looks. The fact is, most older homes don’t look old because of their age, but the way they are furnished and decorated. If your shelves and display cabinets are starting to look tired, consider some upgrades to cleaner, modern styles that allow you to displays collectibles, books and keepsakes without taking the entire room back to the past. 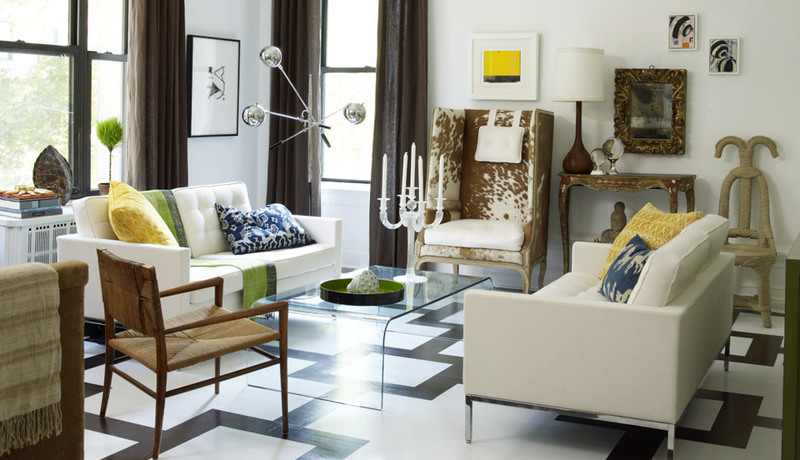 Don’t be afraid to incorporate modern with period items. You’ll be amazed just how much this juxtaposition actually works and can create a really unique look that blends together surprisingly well. Every period home has a few items they simply can’t say goodbye to - the period armchair, the antique table or the old fashioned table lamps. It’s perfectly okay to blend these with some modern upgrades that will create a rich tapestry of styles and make the room unique to you without feeling dated. Simple items such as cushions, throws, floor rugs, curtains, drapes and picture frames can make any room feel old and dated. Just by changing the accessories and final finishes in the room to something more contemporary, the era can move from the past to the future in a very short space of time. 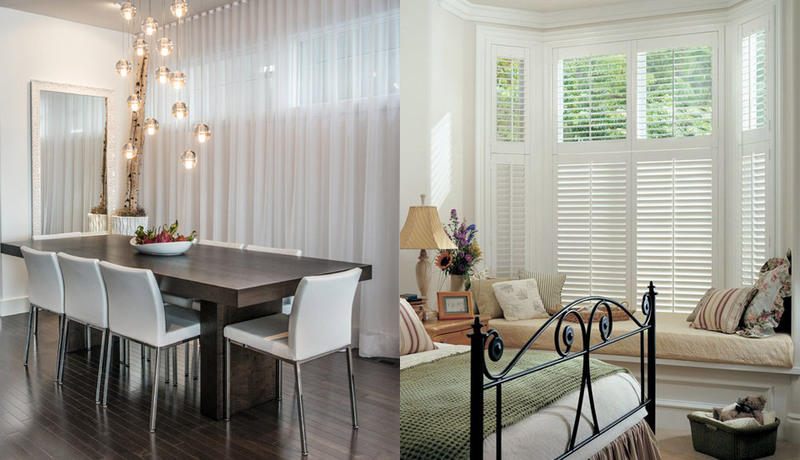 Sometimes all it takes is a few small changes and the transformation can be dramatic.